Chapter One has been one of Kent’s premier restaurants for a number of years and much of its trade comes from the well-to-do surrounding areas – locals who know it stands for quality. Yet, there is no reason why it should only be frequented by those in the know: it is within easy access of the M25 and people travel from all over the UK to experience chef Andy McLeish's exemplary cooking. The dining room screams luxury but, refreshingly, the prices do not. 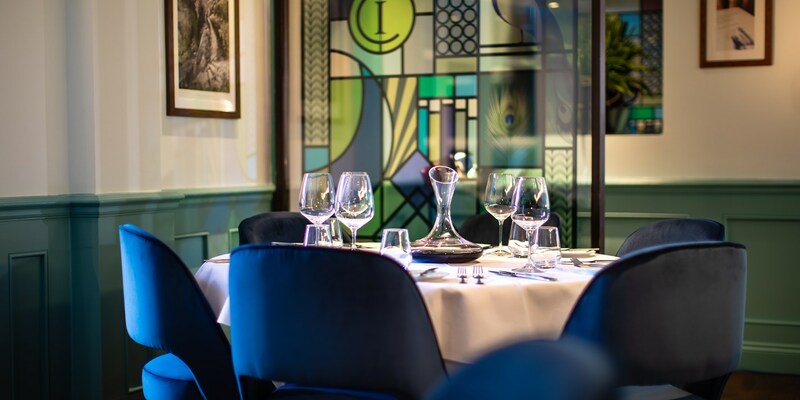 There's a regularly changing three-course set lunch menu for £19.95 alongside the seven-course tasting menu, which is the best way to experience Andy's style of cooking. The restaurant is in the habit of keeping things local, with Andy himself shooting much of the venison that appears on the menu, while Kent’s hallowed Chart Farm and Watts Farm are just a few of the local suppliers he works with. Andy says he doesn’t really have any signature dishes – he’d rather keep evolving than rely on a few well-worn trademarks. Yet his fondness for game is reflected in dishes of wild duck and foie gras terrine and fricassee of wild rabbit. There are modern techniques at play (an espuma gun is frequently unholstered by McLeish) but any ‘airs’ or foams are grounded by classical presentation and humble ingredients. 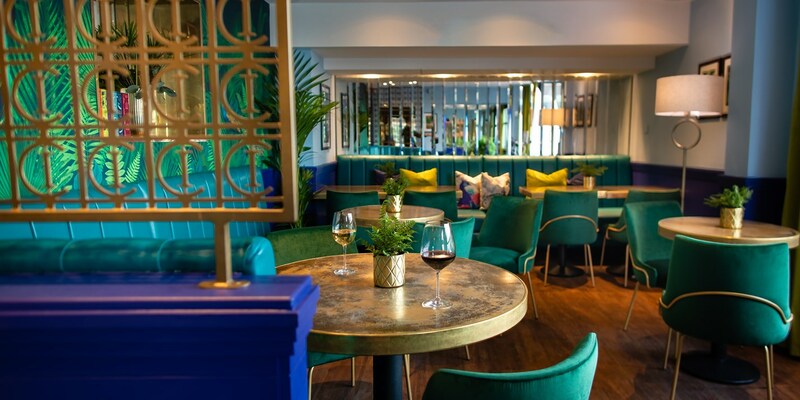 Chapter One isn't just a restaurant; within the building there's also a laid-back brasserie, where you’ll find all the usual classics, as well as a beautiful new bar for those looking for a cocktail in stunning surroundings before the main event. 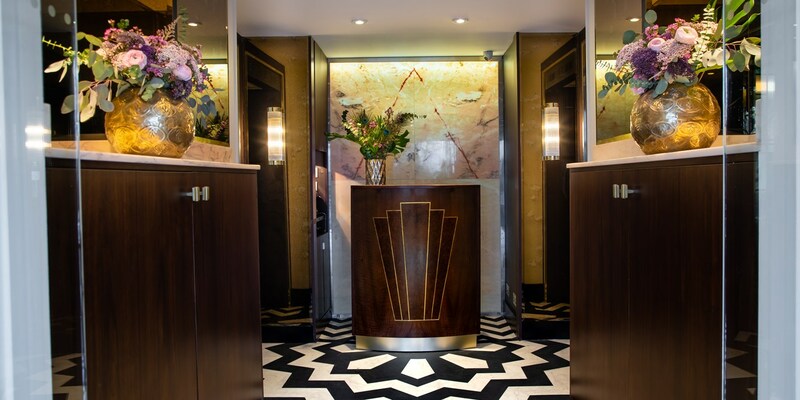 Chapter One underwent a major refurbishment at the beginning of 2019, transforming the previous decor and dining room up to date in a contemporary, plush setting. As well as the main dining room, there is a private dining room perfect for celebrations and corporate events. 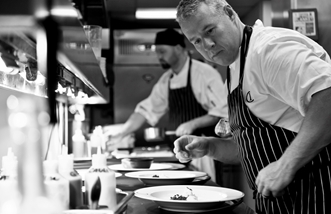 Andy hosts regular masterclasses in the private dining room, where guests can learn from the chef in a relaxed, laidback environment. After completing catering college in Nottingham McLeish Andy McLeish worked under Nico Ladenis - one of his former Take Six Cooks heroes - at bistro Simply Nico and Chez Nico, Ladenis’ three star fine dining restaurant. He worked at The Ritz as sous chef before moving to the Mandarin Oriental Baan Taling Ngam in Koh Samui, Thailand taking the role of senior sous chef. Andy McLeish later returned to London to head up the kitchen at The Landmark in Marylebone, gaining three AA rosettes within his first year of working there.